“Ashes to ashes” in PGCPS District Md. The cemetery grass was soggy, the ground muddy between newly laid headstones. 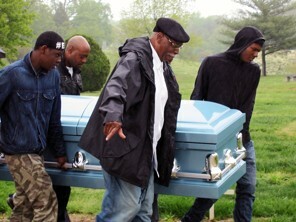 Rain-soaked pallbearers watched their step and kept a tight grip on the casket while moving from the hearse to the grave. (Courtland Milloy/The Washington Post) – Pallbearers carry the casket of 16-year-old Darius Cannon on Monday at Washington National Cemetery in Suitland. “Nevertheless, in Prince George’s County Public Schools (PGCPS) District, one would hope that school officials would do more to understand why kids act up and realize the danger of just kicking them out of school and leaving them to fend for themselves on the streets is not right.” What is currently happening in PGCPS system is not very different from District of Columbia Public schools. When we highlighted this issue more than a year ago (see point number 7 Amended top priorities), it became polarized by the Maryland State department of Education officials. We truly believe this is not fair to the children throughout the state of Maryland and an alternative mechanism can be explored. “What’s good for the goose is good for the gander.” Said one parent recently. In other words, Prince George’s county public school system officials should find alternative solutions for these kids on the street and not be subjected to a different set of standard where students are suspended at will. Anytime a child is kicked out of school for bad behavior, they tend to resort in all manner of mischief including drug abuse, fighting, thieving, death etc. The story about Darius Cannon is very sad one but also applicable in so many counties across America including PG County. The wounds are mostly self-inflicted but adults in many of these buildings including PGCPS District needs to make a proper assessment on how to help this population of the youth. 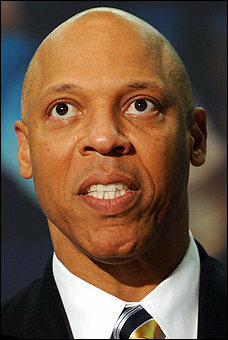 A proper corroboration with the Maryland State Department of Education needs to be enacted without any further delay. 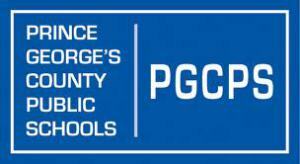 PGCPS or Baltimore City children are not different to those of Washington DC. We live in interconnected world. What jumped out of the story was the fact that his burial was sparsely attended except for kids who were on suspension or apparently dropped out. There was no Principal, Guidance counselors, Superintendent of schools etc. What future will these kids have in a 21st century economy? What is the PG County chapter of NAACP doing on these issues including advocacy for discrimination, immigration, child abuse, death, high suspension rates within the schools etc. ?